AGG: Can you tell us, what is NATRUE and what is its role in the natural and organic cosmetics industry? NATRUE is a Brussels based international non-profit association committed to promoting and protecting natural and organic cosmetics worldwide. 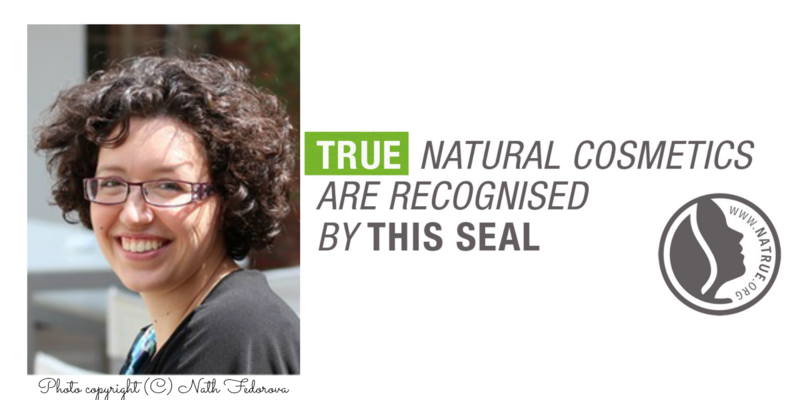 One of the main reasons for NATRUE’s existence is to define a high certification standard for natural and organic cosmetics, in the absence of a legal definition of what is ‘natural’ and ‘organic’ for the cosmetics industry. The NATRUE Label was launched in 2008, one year after the founding of the NATRUE organisation. Our role is to give a voice to the natural and organic cosmetic sector where it counts the most, meaning in all the decision-making bodies that are in charge of cosmetic legislation at European level and beyond. The needs of the natural and organic cosmetic sector are different from those of companies producing mainstream cosmetics; we need to ensure appropriate legislation for our premium ingredients and preserve their availability. AGG: Customers are now more than ever seeking out natural and organic products. When they see the NATRUE stamp on a product what does that mean for them? When you own a Label as NATRUE does, you need to make sure that it communicates the right messages – our logo pictures a woman’s face together with a leaf. Last year we conducted a survey about consumers’ expectations and we also took the opportunity to investigate how the NATRUE label is perceived. What do people think or understand when they see the Label? This part of the survey was for our internal use only but I can tell you that adjectives associated to the label were ‘trust’, ‘pride’, and ‘love’. All these adjectives represent the values that the companies choosing the NATRUE Label would agree with. 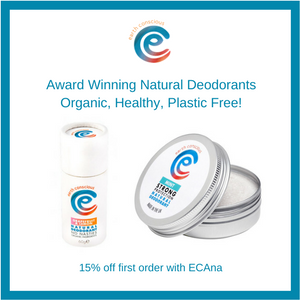 On the other hand, we know that consumers who look for logos on product packaging are those who have a good understanding of the natural and organic arena, they look for a Label because they know it is the only way to distinguish authentic natural and organic products from the “greenwashed’ ones. Most consumers do not choose products because of a particular certification logo or Label, or at least that is not the first thing they look for. They usually chose the brand first, based on a product’s review, personal experience, and more and more often based on peer and bloggers’ advices. However the Label is a plus, a guarantee that can reinforce consumers’ choices and support us in trying different brands when we recognize the Label on product packaging. AGG: When we talk about natural and organic cosmetics, sustainability and minimising any environmental damage is a key aspect of the industry. How does the NATRUE certification process ensure that brands are taking these factors in to account? Certainly sustainability is something that can be easily associated in consumers’ minds with natural and organic cosmetics. In our certification process it is required to prove that starting materials (ingredients) are not originating from plants or animals that are under the restriction of the Washington Convention on International Trade in Endangered Species of Wild Fauna & Flora. Another concrete example is that all detergent surfactant substances must be completely biodegradable in accordance with the Regulation (EC) 648//2004 on detergents. By definition sustainability includes environmental, economic and social aspects, but these are not part of the NATRUE Criteria. Many credible and well-established organisations and associations are dealing with social and economic impacts of production, and it is important we do not duplicate their work. Each association has its own expertise and it works to the benefit or consumers when it focuses on its own core issue. FairTrade and the UEBT (Union of Ethical Bio trade), to mention a few, specialise in the social and economic aspects. Due to the growing demand from consumers it is increasingly common to see cosmetic products carrying a natural and organic seal, such as NATRUE, as well as others logos more devoted to sustainability aspects. AGG: Some of the terminology in organic cosmetics can be confusing, does NATRUE distinguish between natural, organic and biodynamic in its certification process? How can the customer tell which level of certification a product has achieved? Terminology is key when defining a standard. I agree that such terms, which are often abused, can result in definitions being misleading for the consumers. But at NATRUE we are convinced we provide one of the strictest definitions of what natural is when it comes to cosmetics. 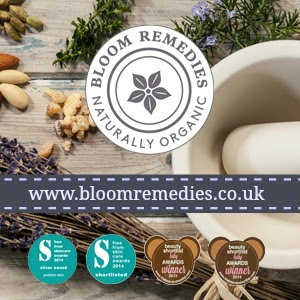 First of all “natural” is a quality of an ingredient – and “organic” is a strict process of growing natural ingredients; therefore we say that nothing can be organic without being natural first. For NATRUE natural ingredients are those unmodified and may be obtained only by physical processes or fermentation. Derived-natural ingredients are the result of permitted chemical reaction processes on only natural ingredients. Nature-identical ingredients can be either pigments, minerals or preservatives. They are reproduced in the laboratory but exist in nature. These ingredients are allowed when only absolutely necessary in order to ensure consumer safety (preservatives) or for purity (minerals/pigments). All of them have one essential characteristic: they can be found in nature. Nothing artificial (man-made) is allowed. As NATRUE intended to create a global label, the definition of what qualifies a raw material to be considered as “organic” was technically challenging. Indeed, “organic” is defined by dozens of different regulations and standards worldwide. To address this challenge, NATRUE decided to adopt the IFOAM technical definition of what constitutes an accepted organic standard: that is, one that is approved under the IFOAM Family of Standards. The IFOAM Family of Standards represents both the diversity and the unity of what is considered organic worldwide. Biodynamic Agriculture is a method which goes beyond ordinary organic farming and it is monitored and certified by other private certification standards (such as Demeter). NATRUE certified products are not required to contain biodynamic ingredients – but as a matter of fact many ingredients that are certified as biodynamic are also certified organic and therefore are present in NATRUE certified products. It is a question of company choice based on the values and history of the brand. AGG: I often hear from brands, especially small start-ups, that say that organic certification is an expensive and time consuming process. Many would like to be certified but are not as yet. What advice would you give those brands? What can be expensive is not so much the certification process itself, but all the actions that a company has to put in place before being ready to be evaluated in the certification process. The compliance to a standard may require changing the formulations, looking for new ingredient suppliers etc. For those companies who want to switch to a strict natural and organic certification Label like the NATRUE one, it is important to be prepared before applying for certification so that the process of certification can remain swift. The NATRUE Criteria are publicly available and can be studied and understood. We are always happy to explain our requirements to interested companies. For those companies that do not have a natural and organic line yet – the advice is to formulate from the outset in accordance with the Criteria. Over the years I have seen many companies of all sizes successfully obtain the NATRUE Label. At the end of the process I could feel their satisfaction in being able to offer their consumers such a strict guarantee thanks to the NATRUE Label. AGG: The natural and organic cosmetics sector is a rapidly evolving and expanding one. How are NATRUE evolving to keep up with those changes and what challenges do you feel we will see in the future? The main challenge is to keep the sector authentic – which does not mean at all to restrict the possibilities for newcomers. It means having a fair playing field offering consumers natural and organic cosmetics truly worth of that name. There is real potential to undermine consumers’ trust with a low standard such as the forthcoming two-part ISO (International Standardisation Organisation) guidelines, which are currently under discussion and expected to be fully released next year. This sector does not need another (weak) definition of what is natural and organic when it comes to cosmetics – we risk introducing a kind of “legitimized greenwashing” through the proposed ISO guidelines. This sector needs to continue to set high natural and organic cosmetic standards, just as NATRUE does, and continue to work hard to explain to consumers the added value of natural and organic cosmetics for ourselves and for our world. AGG: What kinds of brands are currently NATRUE certified and where can we find them? AGG: If there was just one thing customers need to know about NATRUE what would that be? 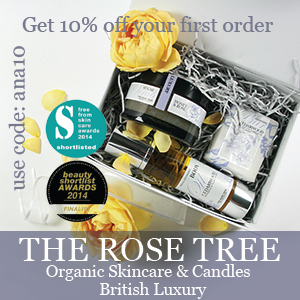 NATRUE is the best guarantee for anyone who wants to enjoy truly natural and organic cosmetics. Quite simply it ensures consumers’ expectations are being met. Thank you so much to Francesca for agreeing to take part in this interview, it was very informative and insightful. Some NATRUE certified brands I would recommend looking out for are Dr Hauschka, Weleda, Lavera, Trilogy, Santaverde and Dr Bronner’s, but there are many more to explore to suit all budgets. Previous Post Weleda sponsors the Model zone at London Fashion week and a giveaway!